MDF Frames are made from a medium density fibreboard and are used extensively for mouldings in both commercial building and picture frame applications. They cut, join and hold well and tend to avoid the warping issues associated with other styles of wood frames. Acrylic (plexiglass), glass and backing are sold separately. Rabbet on all frames is large enough for glass, double mat, and foamcore. Frames come complete with all hardware necessary to hang. 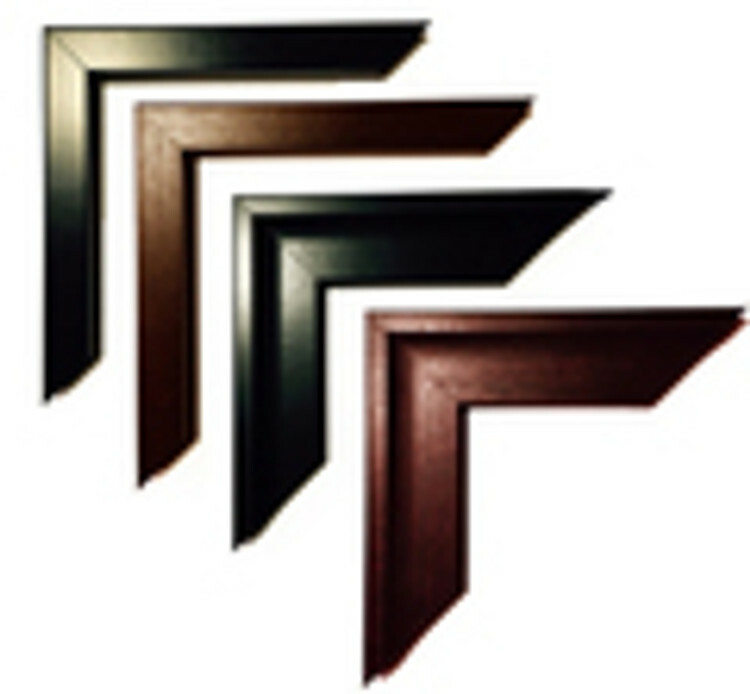 Wood framing comes in all the standard sizes from 5 x 7 to 24 x 36 inches. We also make custom frame sizes to your specification at no extra charge. Pricing is based on a minimum of 5 identical picture frames per order. Visit our How to...Assemble Wood Frames page for more information.